Google has set the date for this year’s Google I/O in San Francisco. The event is to take place from May 28 to May 29, still being hosted at the Moscone Center. More importantly, registration for this developer conference is taking place on March 17 at 9am PDT. Like last year, Google is not hosting a first come, first served ticket process, and will instead use an application for would-be attendees. You simply fill out a form and then submit it. Google then decides who will attend. 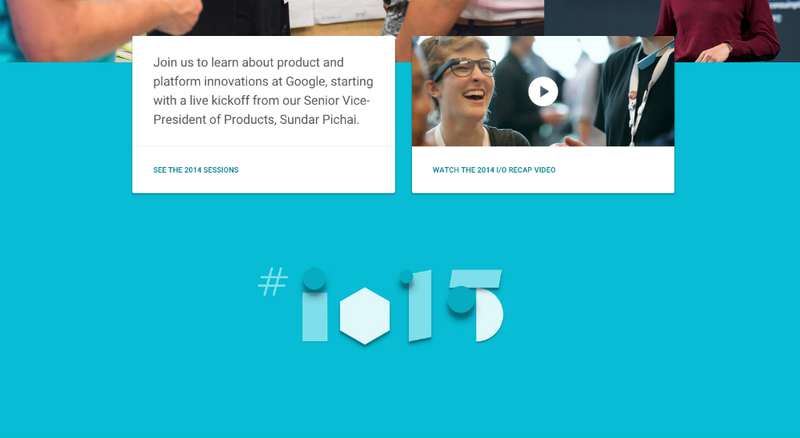 The website for Google I/O has been revamped, filled with Material Design aesthetics and plenty of Google Labs goodies. Definitely give it a quick peek if you are into that stuff. Are we excited yet? Hell yes.